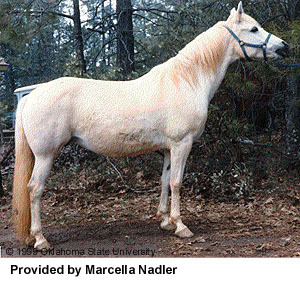 The Welara is a new pony breed establish in 1981 by a group of ranchers in southern California. It resulted by crossing the Arabian horse and Welsh pony. Lady Wentworth was the first person known to breed this pony. 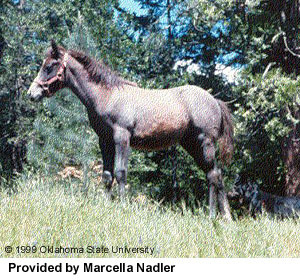 She used the stallion Skowronek on mares imported from the Coed Coch Welsh stud farm in North Wales. This pony exhibits the best qualities of both the Arabian and Welsh breeds. Welara ponies are characterized by their beauty, gentle disposition, quick, eager intelligence, and versatility. If pure Arabs are too small to meet requirements for the Arabian stud book, then they are accepted. International Encyclopedia of Horse Breeds, Bonnie L. Hendricks, 1995, University of Oklahoma Press, Norman, OK.